「featured post」～尾崎豊 Japan’s icon in focus | モーニングBerryz48…the morning after….. "Always wear protection before reading…(^q^)." Rare is it that we are graced with such open beauty, expression and talent….all so effortless and relatable and yet so moving and tragic in its poignancy. 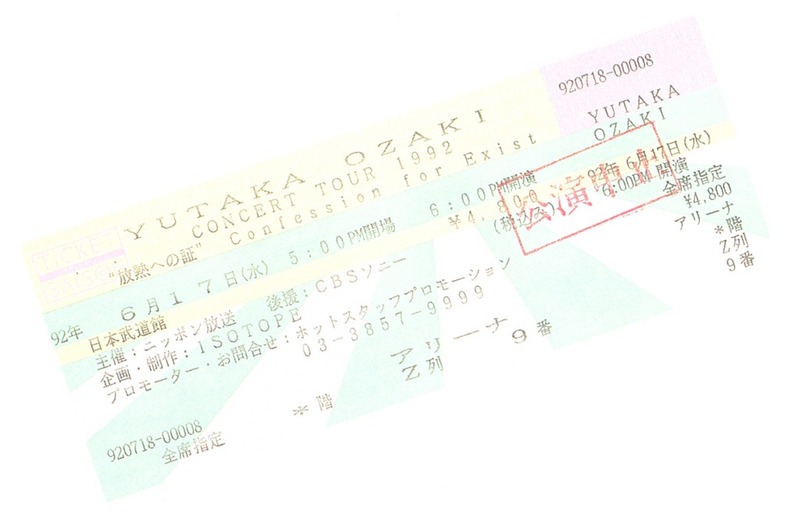 First to explain just how much I’m endeared to this artist, I can always remember when I first bought a region free DVD player by looking at the release date for Ozaki Yutaka’s last concert appearance (released in the Summer of 2000!) which occurred on October 30th, 1991. When I found out that this concert was being released in its entirety for the first time I was excited beyond belief only to find out that it was only being released on DVD and not on VHS (haha yes a sign of the time back then). Prior to this all of my J-Pop video releases had been on VHS since that was the dominate format for music releases in Japan at the time and secondly I had no idea a DVD player could be hacked to play any region (Japan’s DVD region coding differs from the United States region code). 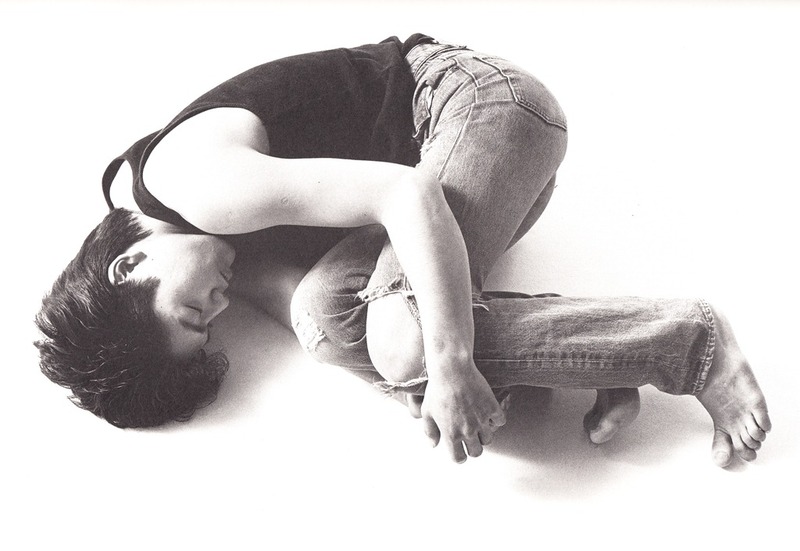 Ozaki Yutaka’s DVD “The Day Last Appearance Yutaka Ozaki Artery & Vein Film Part II at Yoyogi Olympic Pool on October 30th, 1991 Complete Version” was released on July 5th, 2000….amusing to think of how little I was when this concert took place (just 9)! 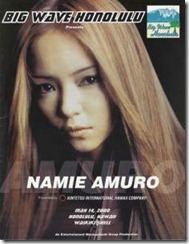 The landmark though for me and why it’s so monumental still today is that this was the very first Japanese music DVD that I purchased and the reason that I bought a region free DVD player in the first place after finding out that you could get them online. Of course now days you can hack just about any DVD player yourself by using codes or a burnt disc less the Bluray types which have no region codes for Bluray but still won’t playback your Japanese region 2 DVDs. 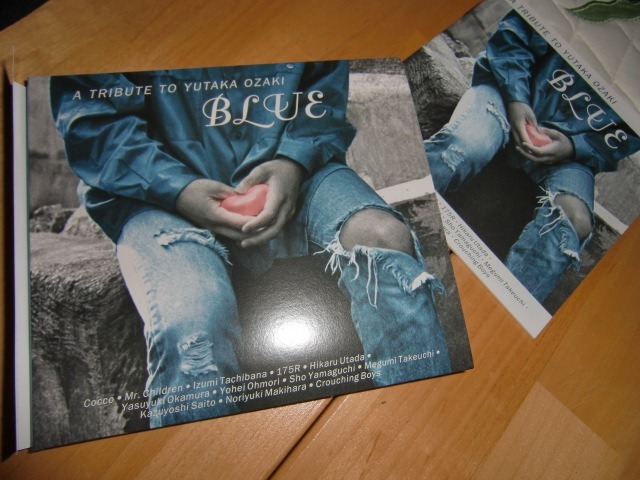 Ozaki Yutaka releases available @ Cdjapan. 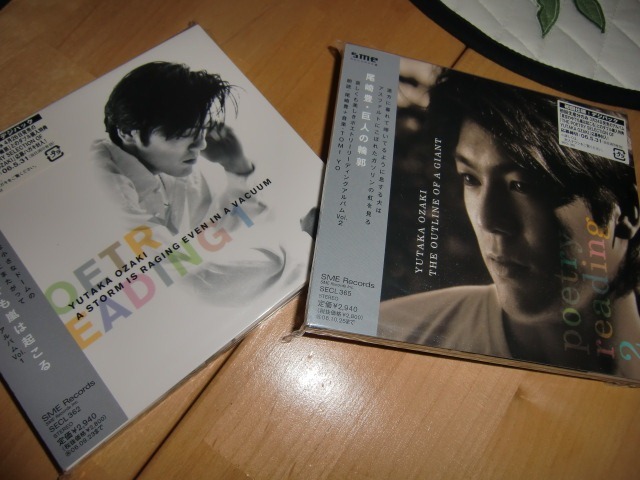 Ozaki Yutaka releases available @ HMV Japan. Going further back to how I first experienced his music it came in the most unlikely way. It occurred in 2 instances and the second one really did it. While going to night school my sensei had let me borrow Ozaki’s debut album “Juunanasai no chizu”, often called by it’s English title “Seventeen’s Map.” While I listened to it a few times it didn’t catch on with me at that time…something that to this day I don’t quite understand (in hindsight I was most likely in Smap overload mode then so that may have explained it =P!) . In fact I had forgotten about it completely after returning it and it wasn’t until the drama “kono yo no hate” (“End of this World”) came into my possession a bit later that Ozaki made his everlasting impact on me and it was again unlikely as “Oh My Little Girl” was the theme song and of course if you watch Japanese dramas then you surely know how they can reach out to you personally and really take hold of emotionally even as dramas become even more endeared in memory and in heart by the enhancement of wonderful theme songs~. 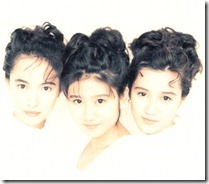 Oh, and speaking of “Kono yo no hate” it’s an incredible drama and one of the most heart wrenching period~ever~….and they simply just don’t make them like this anymore. 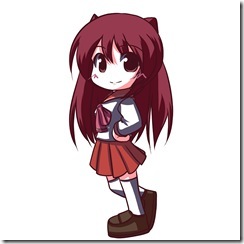 “Oh My Little” girl is one of those songs that are widely known even if some of those who are familiar with it aren’t familiar with the singer or any of his other music. I however needed to hear more. So I ordered his debut album “Juunanasai no chizu” and when it arrived and I saw the cover I had one of those…”you gotta be kidding me…” moments. 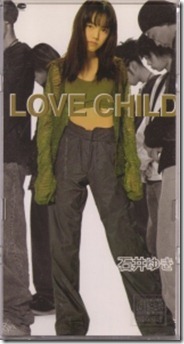 I couldn’t believe that this very song “Oh My Little Girl” was actually on this album which my sensei had loaned me quite a long time ago only to have it leave no impression on me at the time (-∀-`)。 It’s one of those if I knew then what I know now kind of thoughts. So here fate was giving me a second chance to experience the incredible music of Ozaki Yutaka and this time I would make no mistakes. 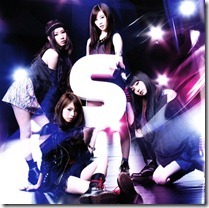 Upon listening to this album again for what would be the third time I was absolutely addicted to it! 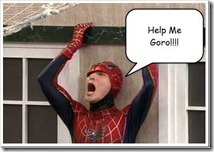 I began learning the words to his songs and practicing them in the shower…lol just kidding I sing horribly! But that’s about the only place that you’ll catch me singing these days (sigh…) 😛 I then ordered his entire album discography which includes 7 original albums, 2 live albums, and many collections and rarity releases that would follow. Sony Music has also been making sure that his legacy will live on by releasing new material, remastered albums and poetry reading which Ozaki loved. 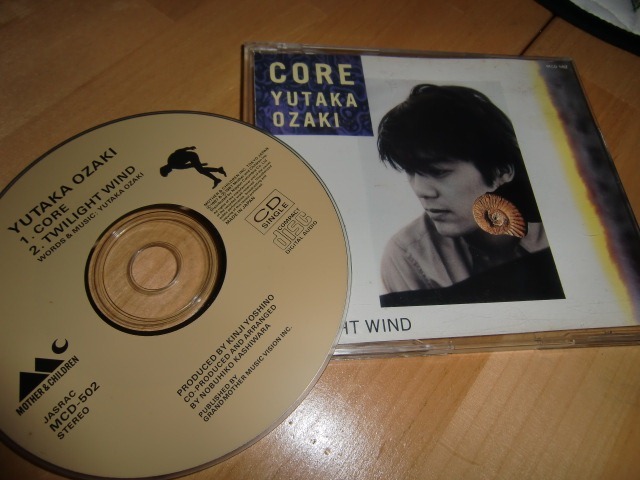 While most of Ozaki Yutaka’s discography I was able to purchase and collect from online shopping there’s always the chance of coming across a rarity while searching through the inventory of second hand/used CD shops shelves and on such a special day I did find this original copy of his single “CORE” and here this b~side which I would later find to not be available on any of his other albums or compilations proved to be one his most wonderfully catchy compositions~. So much emotion is heard and felt in “Twilight Wind” and this song remains an all time top 20 favorite of mine till this day. 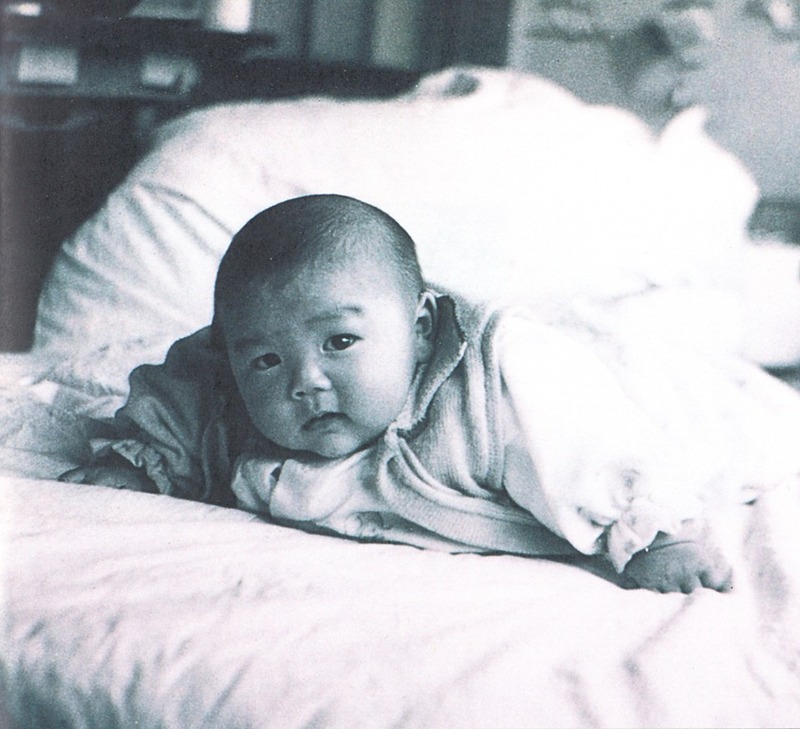 Ozaki Yutaka’s aspirations and talents went well beyond that of music and musician as he also expressed himself through beauty and darkness through his writings in poetry. These two CD volumes released by Sony wield a deeper emotion captured by none other than its author himself set to a back soundtrack revealing realism and life in the words of the ever expressive mind of Ozaki. 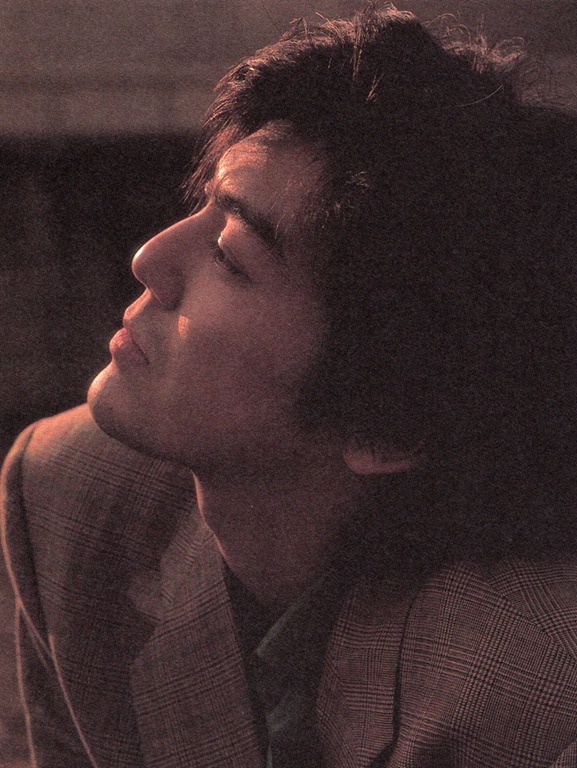 Sony would also release alternate versions of songs, and collections for what it seems like every year even to till now as 2012 has Ozaki Yutaka set to release more of his legacy. 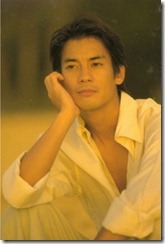 Amazing when you consider that Ozaki Yutaka sadly passed away at the very young age of 26 of heart failure. Speculation of the cause of his heart failure range from possible overdose to alcohol poisoning and it remains a yet unexplained reasoning to this day. 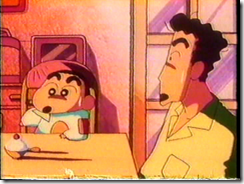 It’s been just over 20 years since one of Japan’s most iconic figures has left us. While I’m much too young to have experienced his impact and profound influence upon music in real time, in retrospect I’ve been able to find a deep appreciation and understanding of the movement he both influenced and created with so much of the youth of Japan in times of uncertainty and self searching. 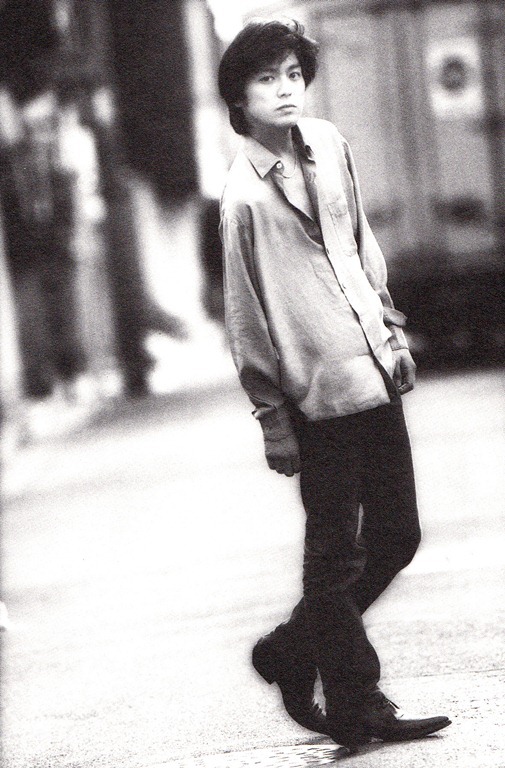 His music continues to transcend time to this day and it’s largely due to the deep understanding of his lyrics and how he directly related to Japan’s youth in an age of identity and turbulence. 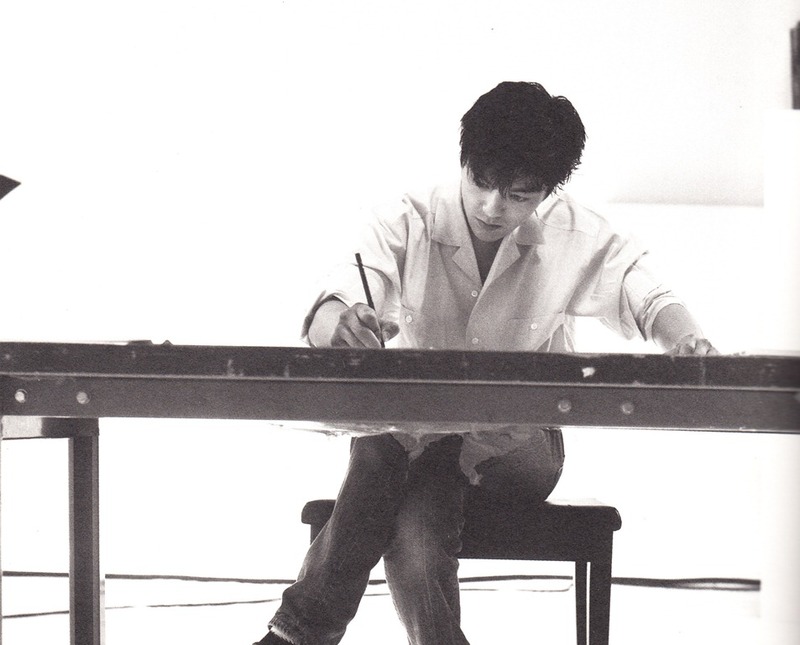 In a sense in hindsight it was like the perfect storm had brewed for me when I first discovered Ozaki, I too being a teenager in my late teens then, I was able to first appreciate his artistry and vibrant edge of youth in very much a similar light of time personally. 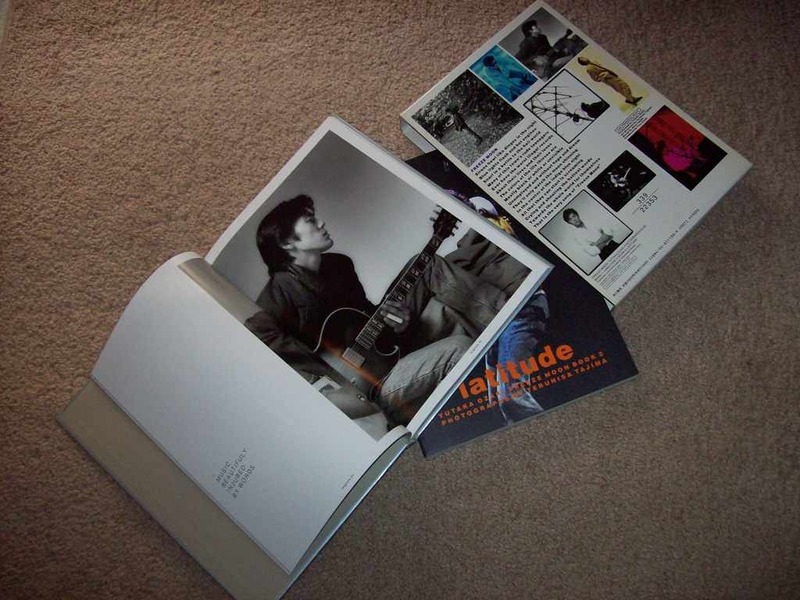 Ozaki was deeply accomplished on both piano and guitar and while his song writing was deeply rooted in rock he effortlessly would transcend into many other genres of style including a jazz influence which can be heard in numerous compositions of his. 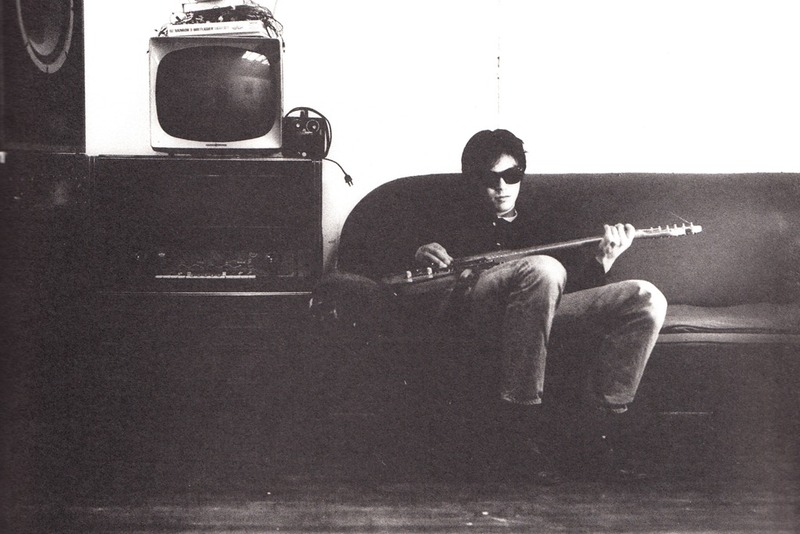 From intricate to driving to the softest of nuances to avant garde, Ozaki Yutaka’s ability to express both in lyrics and music were simply phenomenal and especially when you consider the early age at which he had already written such an amazing and extensive catalog, his debut album “Juunanasai no chizu” (symbolically)released at the age of just 17. 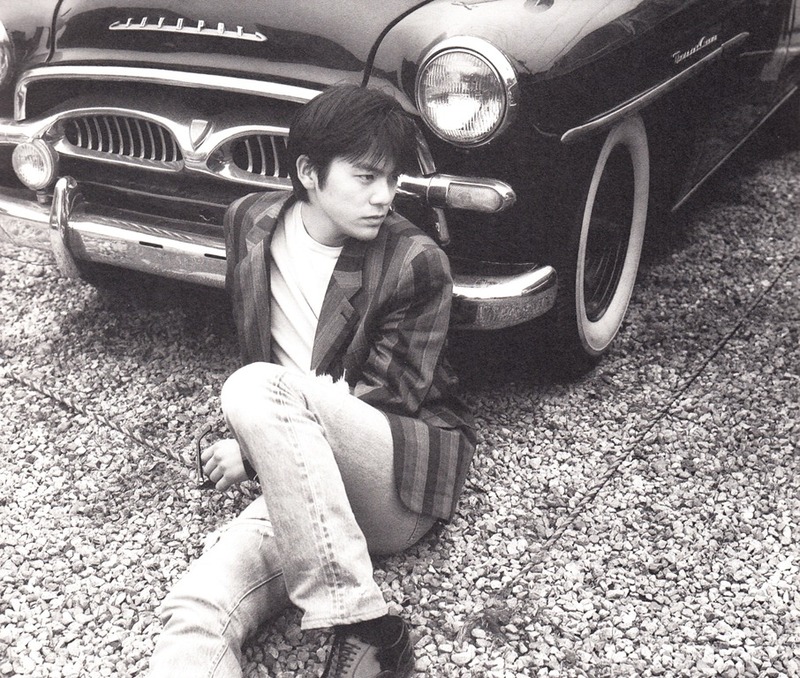 Ozaki Yutaka wrote all of his own music & lyrics and it’s a tragedy that he was taken away so early in his life as he had so much more music & love to pass onto his legion of fans. 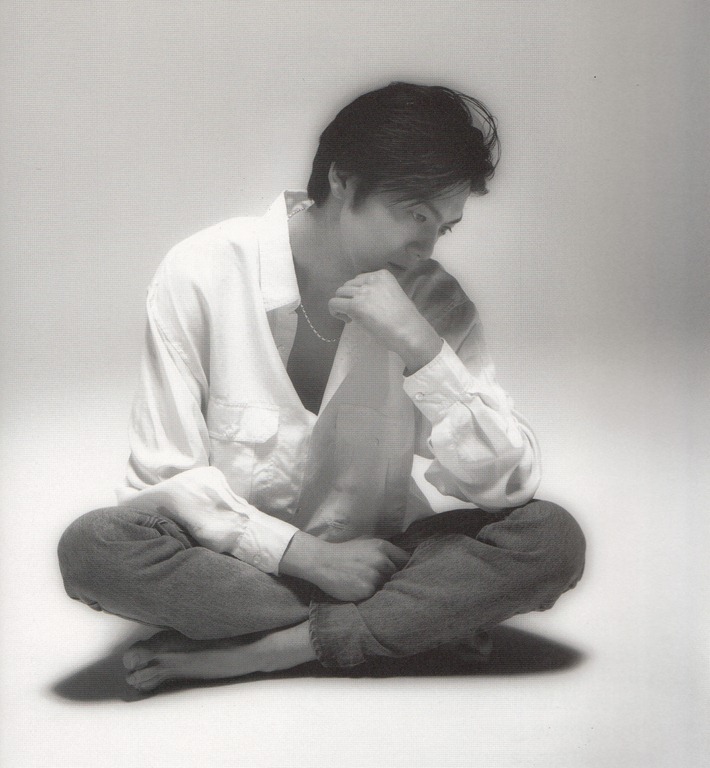 Gone but never forgotten, Ozaki’s fans continue to celebrate his music today and into the future and hopefully younger generations will discover his incredible song writing talents, his musicianship, his lyrics which are easily related to with their raw and often touching realism and emotions, and the charisma of this iconic artist. 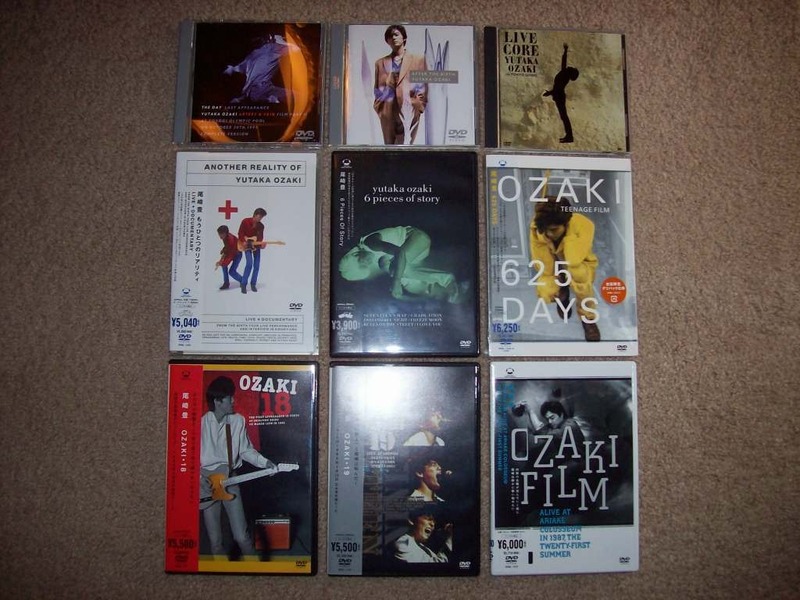 While there’s simply nothing like the originals, many have covered Ozaki both in adoration, and respect & tribute~. 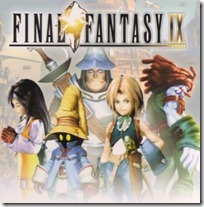 In late March of 2004 two special tribute albums would emerge with an outpouring of amazing artist and talent at the helm, both volumes would in themselves would provide very unique takes and approaches on Ozaki’s songs making them in a moment theirs while all the while making them eternally his in an inspired and amazing fashion~. 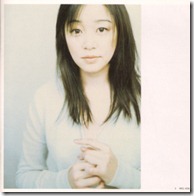 Here is the track listing for “Blue”, here I’ve included Mr.Children’s and Utada Hikaru’s renditions and personal expressions of “Boku ga boku de aru tame ni” (“My Song”) and “I Love You” respectfully~. I tried to take a perhaps less literal translation at times in favor of capturing the possible emotions in his writings here which I think will convey the thoughts of this song hopefully much better. 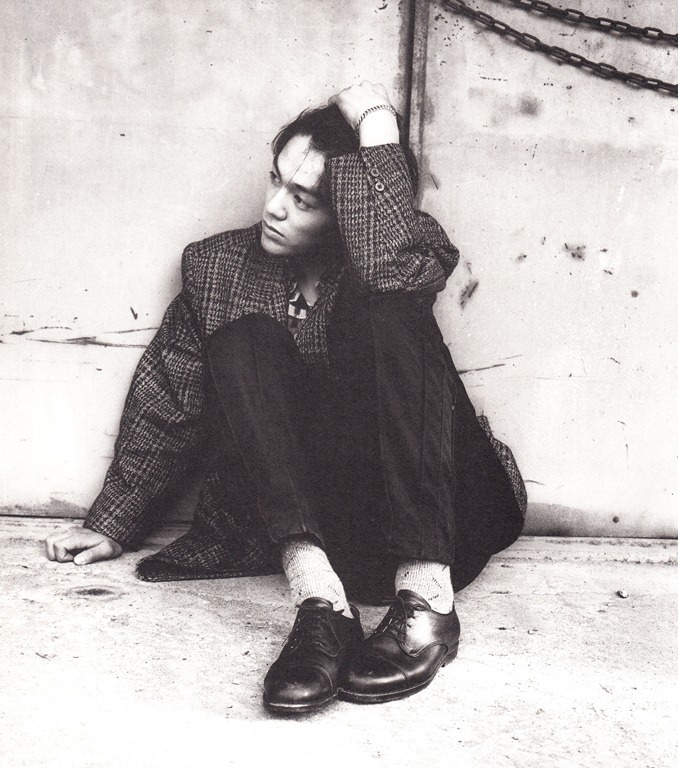 Ozaki’s “OH MY LITTLE GIRL” while brief in lyrical content it does create the understanding between his love and himself in a most memorable and powerful way and his choice of words so descriptive is just but a single canvas amongst the countless musical gems he’s left for us as musical lovers. In hindsight Ozaki Yutaka in so many ways was so way ahead of his time musically speaking, all the while his legacy and imprint upon Japan’s generations and generations to come could have not occurred at a more poignant and perfect moment. And while “OH MY LITTLE GIRL” isn’t regarded as one of his more expressive compositions nonetheless it’s one of his most beautiful both in terms of lyrics and music composition. Sony Music has given fans over the years many trips to their vaults and these two rare early performances of “OH MY LITTLE GIRL” are simply gems. This is really going way back so please bear with the quality of the recording and its nuances but nonetheless….such a beloved performance. 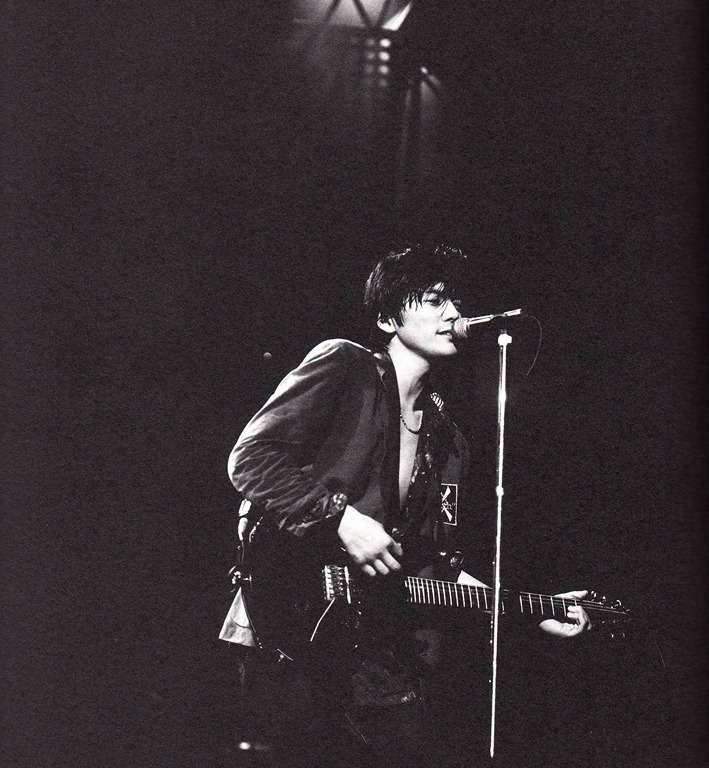 Live at Nippon Seinenkan on January 12th, 1985. 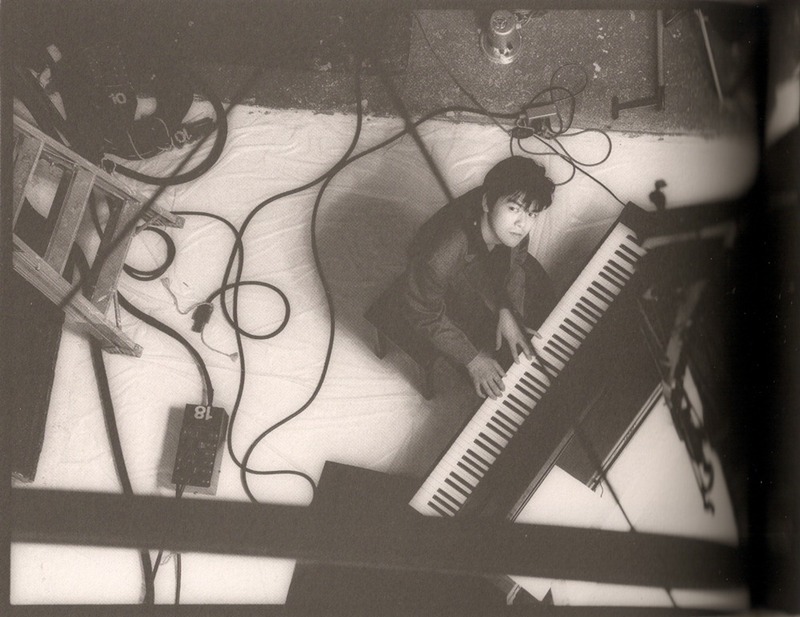 Ozaki Yutaka’s very first live performance in Tokyo at Shinjuku Ruido on March 15th, 1984. 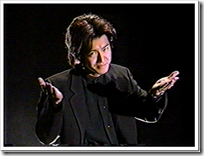 Ozaki Yutaka made his music debut with his single “15 no yoru” in 1983 and along with his 7 original albums he also released 13 singles within a 9 year period. 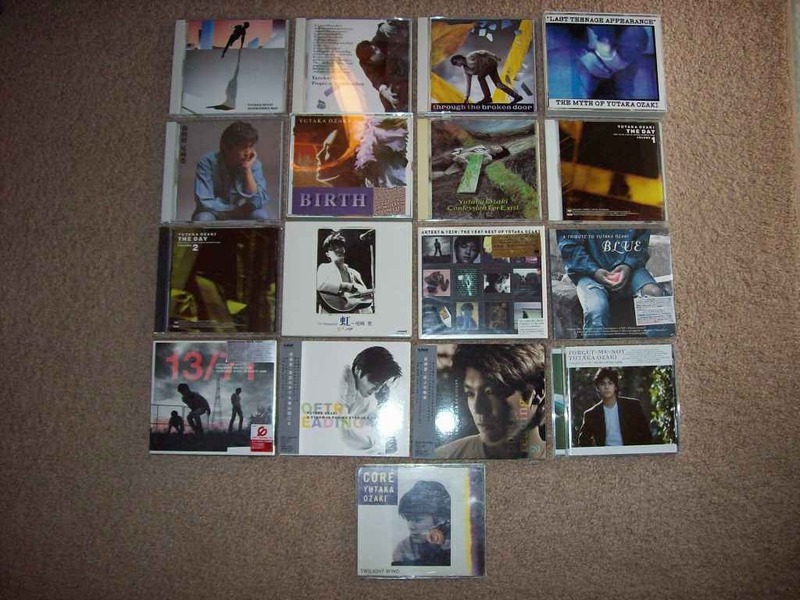 Here is my Ozaki Yutaka album & single collection which includes 15 albums (including special releases & collections that were released after his passing) and 2 singles. As aforementioned the single at the bottom (“Core”) I found at a used record shop and although this single looks very worn it’s one of my most treasured singles in my entire J-Pop collection. 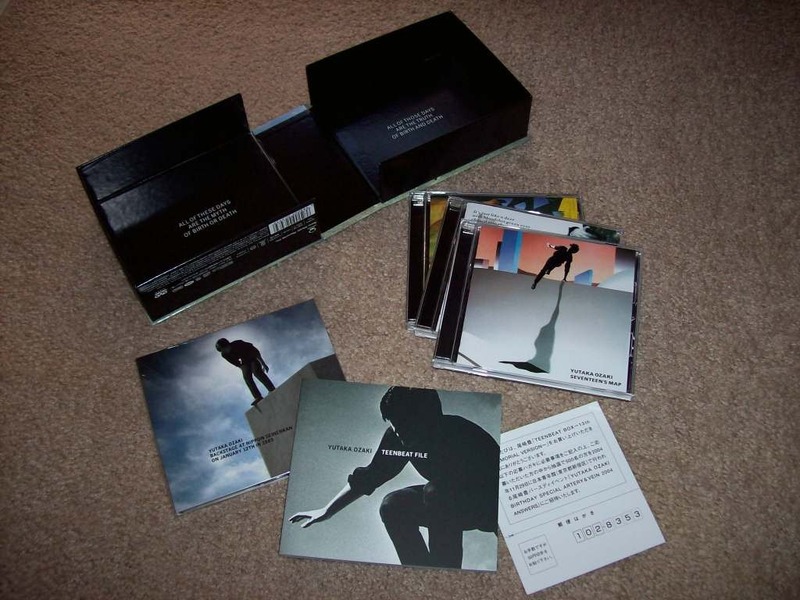 On October 27th, 2004 Sony Records released a 13th memorial box set. This box set includes 3 hybrid high definition CDs of his first 3 albums: “Juunanasai no chizu”, Kaikisen”, and “Kowareta tobira kara”, bonus DVD with backstage footage from his January 12th, 1985 appearance at Nippon Seinenkan and a 68 page full color booklet. A definite must have for any fan! I’ve also collected 9 of his DVD releases which includes the long awaited release of his live performances from 1984, 1985, & 1987. 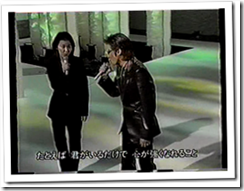 Also included here are his “Live Core” tour appearance in Tokyo Dome, his complete final concert appearance, interview footage, PVs, lots documentary footage, backstage footage, recording studio footage, and lots of various live performances from different times in his career along with special music videos in tribute. I was also able to find 2 of his shashinshuu’s at a used book store. The shashinshuu on the left is incredible as it’s actually 2 shashinshuu’s, one hard cover and the other soft cover which are both housed in a nice slip case with an extensive collection of live and personal photos. Here are the 2 shashinshuu’s out of their slip case. 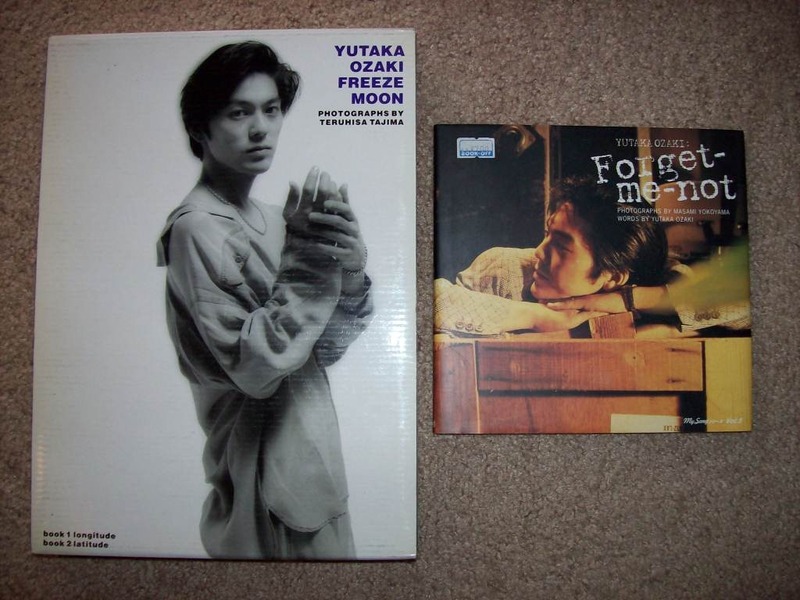 The photos in here span his entire music career from debut to the last known picture taken of Ozaki Yutaka in the Winter of 1992. Here are just a few of my favorite Ozaki Yutaka songs in no particular order and I’d recommend checking any of these out. (note that the majority of his songs have both English & Japanese titles, I’ve listed them in English as that’s how they’re listed on the backs of his CDs). “Heart of Klaxon”, Ozaki’s live band, features all traditional rock instrumentation including drums, bass, percussion, keyboards, piano, electric & acoustic guitars as well as saxophone to harp and chorus. 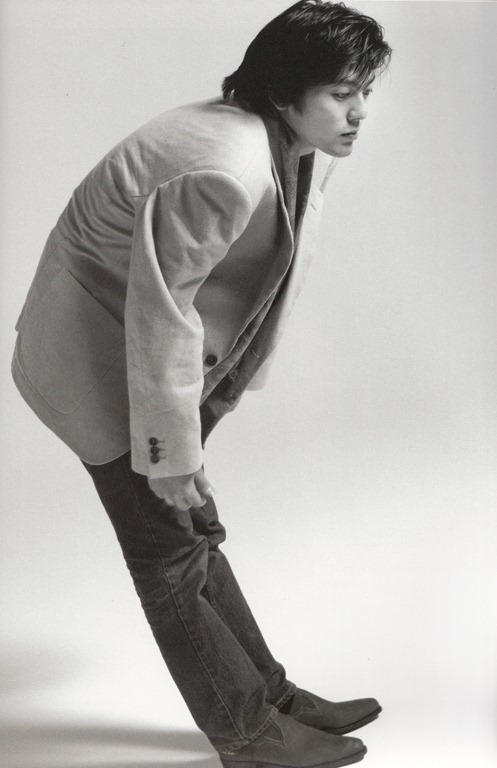 By comparing many of the album/single studio versions I’ve included in mp3 format above to these live performances of the same songs a greater appreciation can be reached in hearing the creative lengths these live renditions would create…breathing a new light and approach for many of the songs. 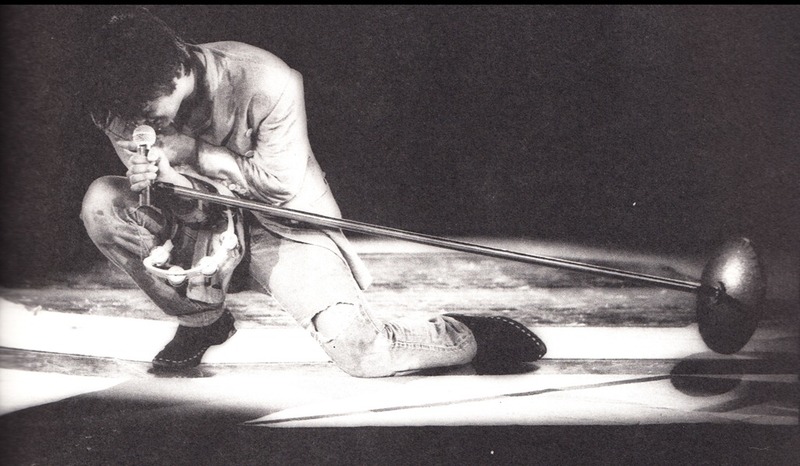 Ozaki’s presence so commanding upon stage and his intense passion an everlasting tribute to the artistry of the ultimate performer~. Here are a few of my most favorite live performances. 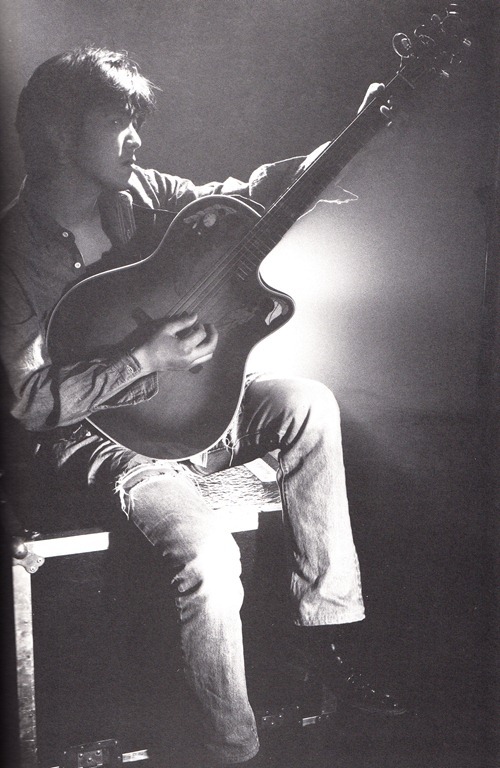 Live at Yoyogi Olympic Pool on October 30th, 1991. 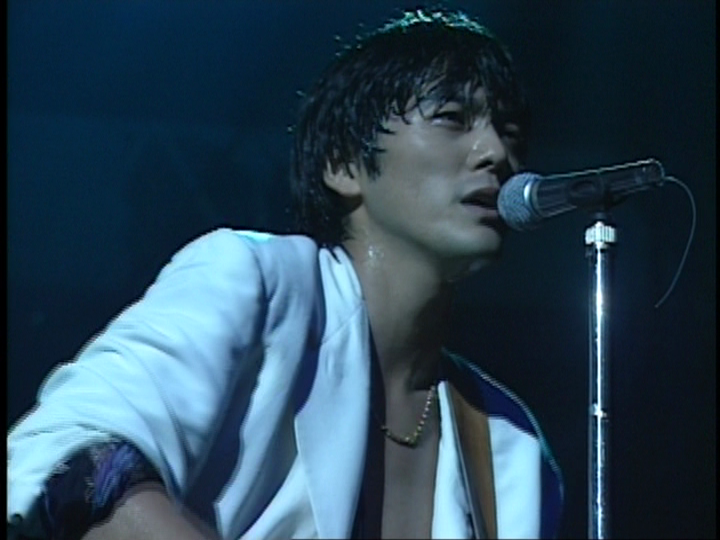 The October 30th, 1991 concert held at Yoyogi Olympic Pool would be Ozaki Yutaka’s final appearance. 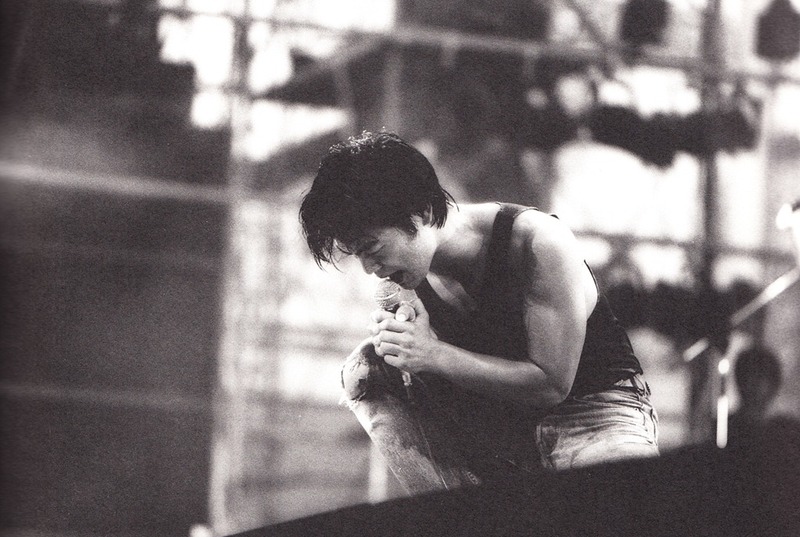 Live at Yoyogi Olympic Pool on October 30th, 1991 (Final appearance). 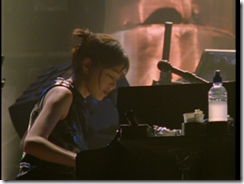 Perhaps Ozaki’s most beloved ballad and love song, here sung beautifully for a final time. 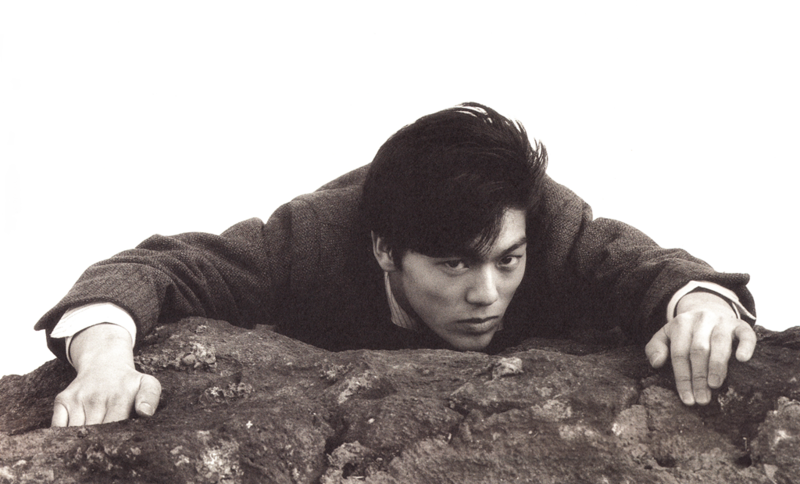 Always a live favorite, “Graduation” often features a most playful side to Ozaki and so much joy can be seen in any of his live performances….Ozaki always giving maximum effort in his live appearances for his many adoring fans. 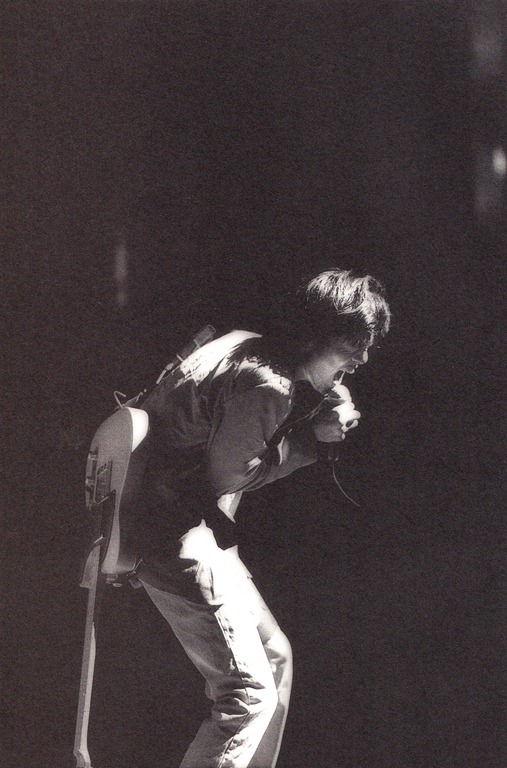 Live at Tokyo Dome on September 12th, 1988. 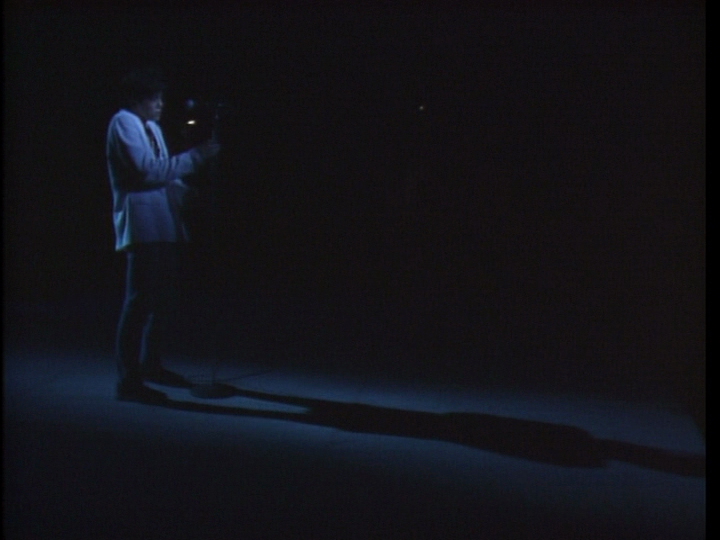 One of Ozaki’s most emotional performances, “Taiyou no hahen” a blending of jazz and rock with an improvised closing most memorable and stirring here. 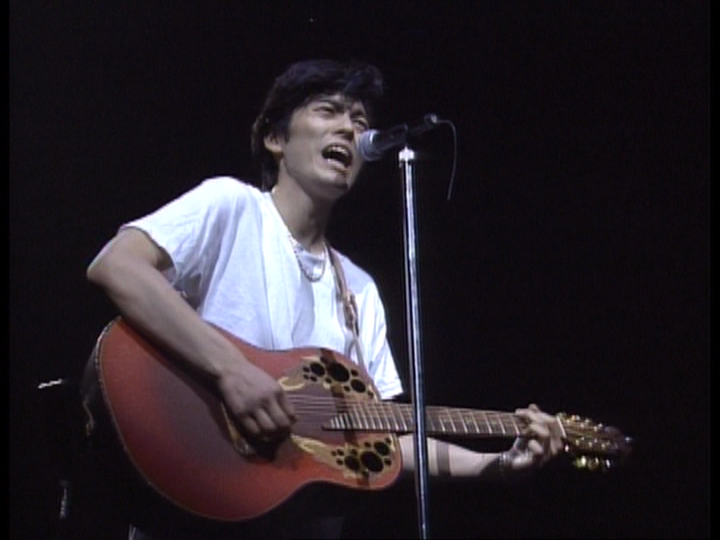 Live at Yokohama Arena on May 20th, 1991. First live in Tokyo at Shinjuku Ruido on March 15th, 1984. Live at Kouriyama Shimin Bunka Center on August 27th, 1991. 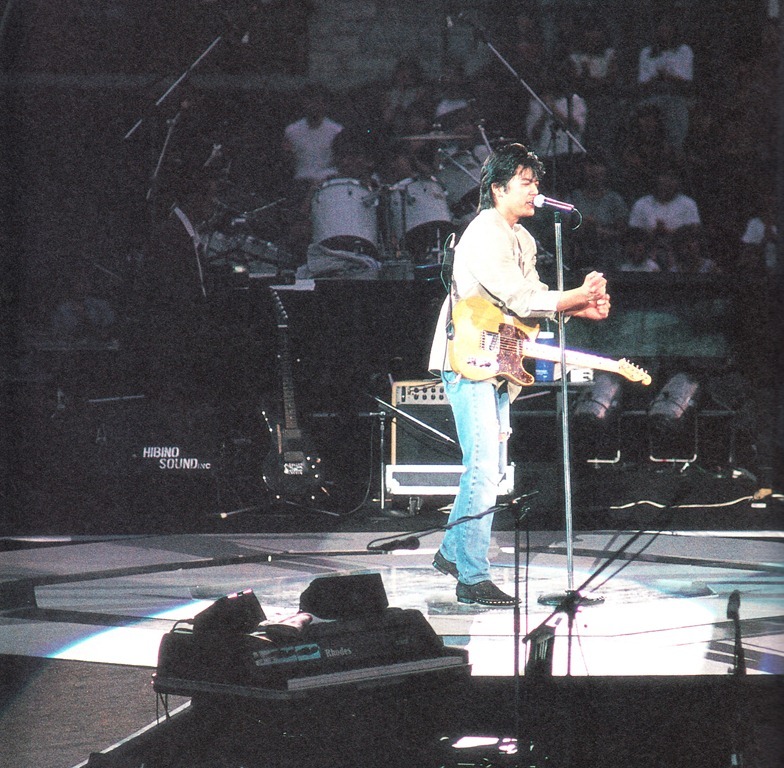 Live at Ariake Colloseum, August 1987. The Ariake concert features a 360 degree stage, Ozaki here at 21 years of age holds a two night concert event on August 29th and 30th. 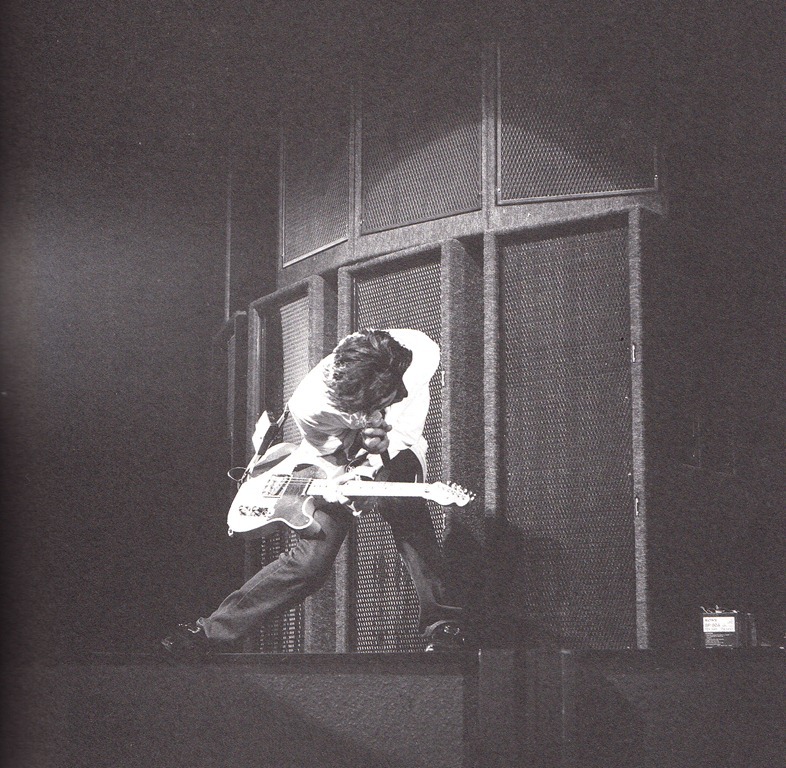 Live at Ariake Colosseum, August 1987. 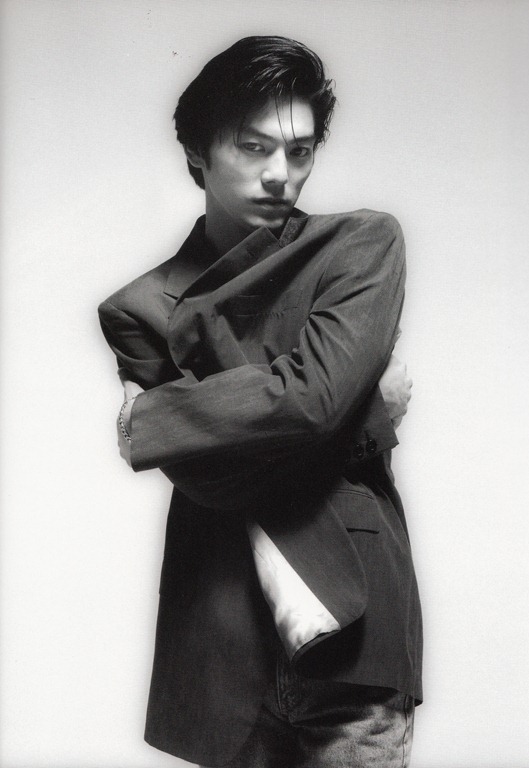 In closing I hope you will find Ozaki’s music embraceable and take something away with you. Every country has their iconic figures and for Japan while there may be equals there aren’t many if at all musical icons larger than Ozaki Yutaka. His heartfelt music and lyrics will live on as new generations discover his music and the man who wrote songs which created an entire youth movement. 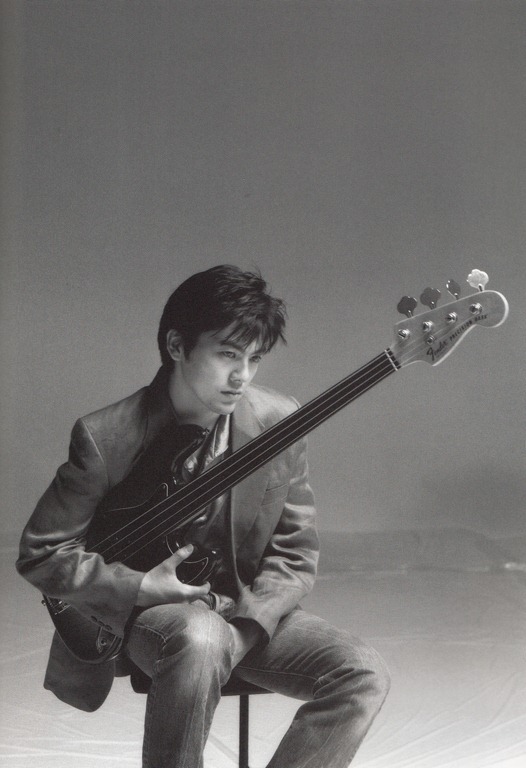 And like with James Dean, Marilyn Monroe and Jim Morrison a distinctly eternal aura of youth lives within and beyond, we miss you Ozaki Yutaka…thank you for leaving us with such passionate music through a vibrant life lived to the fullest, gone much too soon~. 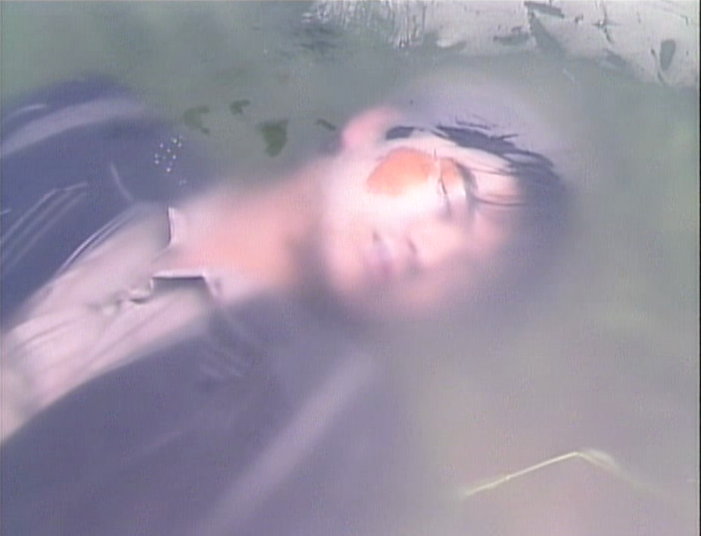 Photo #2353, the last known photograph taken of Ozaki Yutaka…the final cut of a ten year history captured in film. 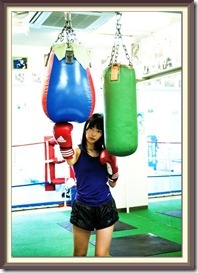 This entry was posted in Featured, J~Pop, J~rock, Translations and tagged icon, j-pop, j-rock, ozaki yutaka. Bookmark the permalink. hey mb how are u ?? not related but u forget my other comments haha 😡 ? 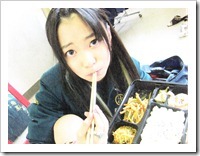 A~hh =O…are you spamming my Ozaki post? 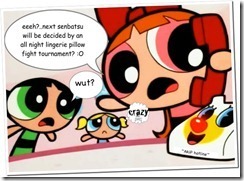 Lol I worked really hard on this =). I think the spice of life is variety~♥ :)….thank you so much! I’m so happy you listened to Ozaki, he’s really such a part of Japan’s J~rock history and their music scene in general. I always get a great feeling while listening to his voice and just his songs are so addictive with his amazing writing and vocals…he was such a showman too in concert! Again happy you enjoyed listening, you make writing these posts all worth it. Incredible post! There’s enough material her to keep a person going for many hours! Days even. Thank you for your link here. I will listen to the songs over the next few days. What a wonderful CD collection you have! What did you think of “Twilight Wind?” I’ve always loved the arrangement as it’s like the entire song is the chorus so to speak and he’s projecting so much emotion into the lyrics. Also “Rossana” is a lovely song as is “Marriage”…”Shelly” and of course “I Love You” which is most likely his most covered song by other artists all time I think. 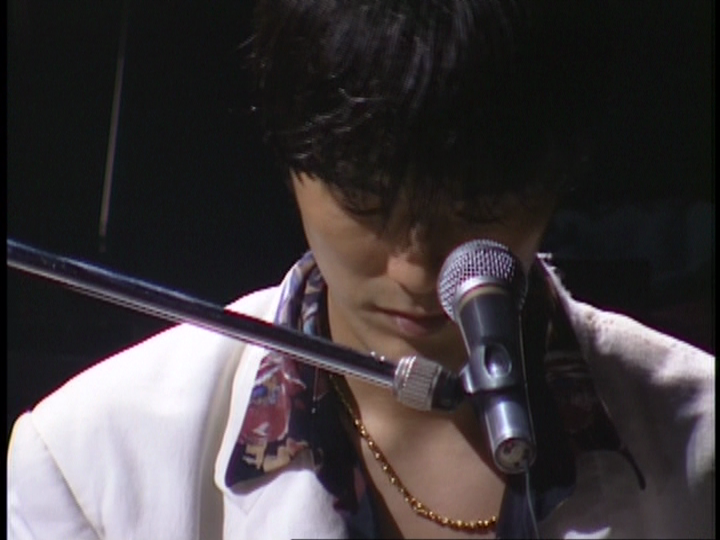 Or a song like “Taiyou no hahen” which has this long lasting haunting feeling about it and his live performances are always injected with so much rawness and how it’s jazzy and then not and then jazzy again is amazing. “To All That I Hurt” was also an early favorite of mine, I mean its chorus is so wonderful…those lyrics and melody combined just do it. But overall Ozaki-san was a true to the bone rocker and nothing speaks louder than his song “Seventeen’s Map” in this regard, when you watch him perform it for what would be the very last time he’s so visibly engulfed by that song…he’s running all over the stage and half out of breath it’s awesome! Oh wait, actually “The Night” is quite the equal to “Seventeen’s Map” and whether he did it acoustically or in its original rock style it’s still such an intense song and the rawness of the lyrics aren’t like other songs of this style even. “In Your Heart” haha I mistyped the title in the post but I’m going to leave it as it’s just another affirmation that I am Miss Type and proud of it =P….”In Your Heart” was the first to make me cry =(…..the melody and lyrics really gets to you…I promise, give it at least a couple of non-distracted listens and its melody will move you so much. As an ending bookend “Mama say good-bye” just felt right having it as the final mp3 in the post, almost like an irony in itself being there…the music has such a sweet somberness to it…Ozaki-san plays the harmonica beautifully as always, he was not just an amazing performer and lyricist and music composer but he was the ultimate musician too, it’s something great when you can compose upon a guitar or piano and even if it’s not the dominate instrument there it still all comes together so perfectly. Loved Twilight Wind. 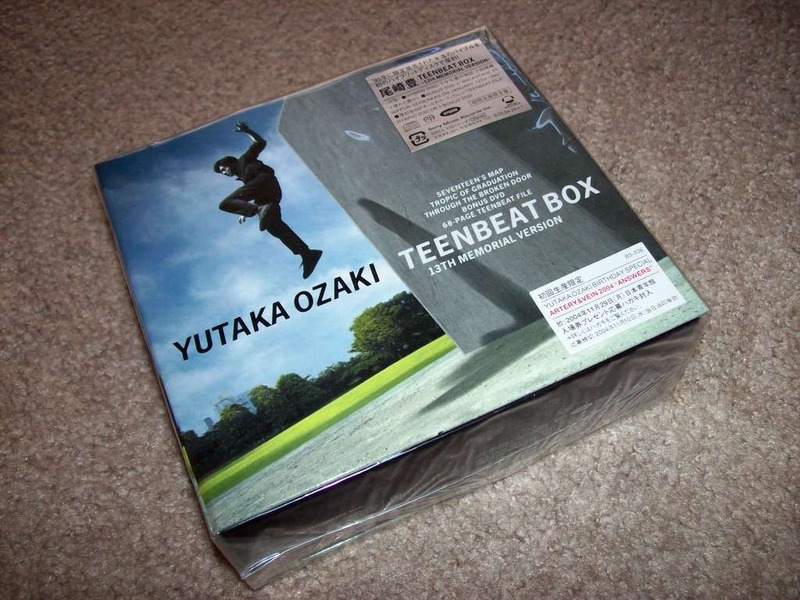 And guess what: I’ve spotted a copy of Teenbeat Box at our favourite online store! That’s going to be mine, I hope, early in the New Year, along with a couple of the singles. 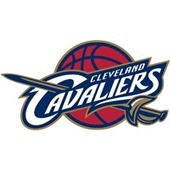 Cool!! 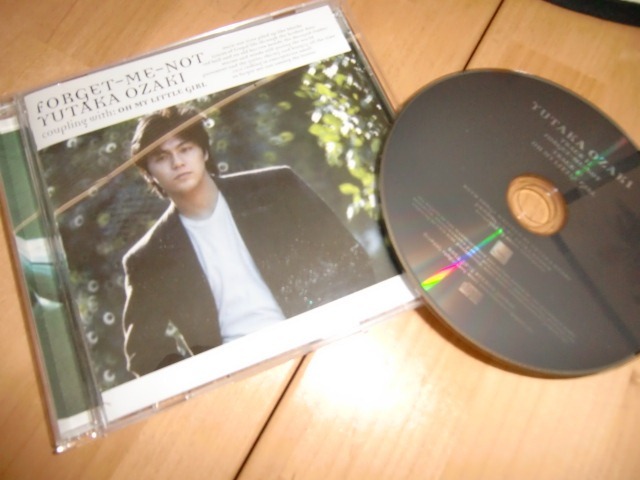 It includes “Seventeen’s Map” which I’m biased towards being my favorite as it was my very first venture into Ozaki-san’s music however so many of his great songs are pretty wide spread across his album discography. 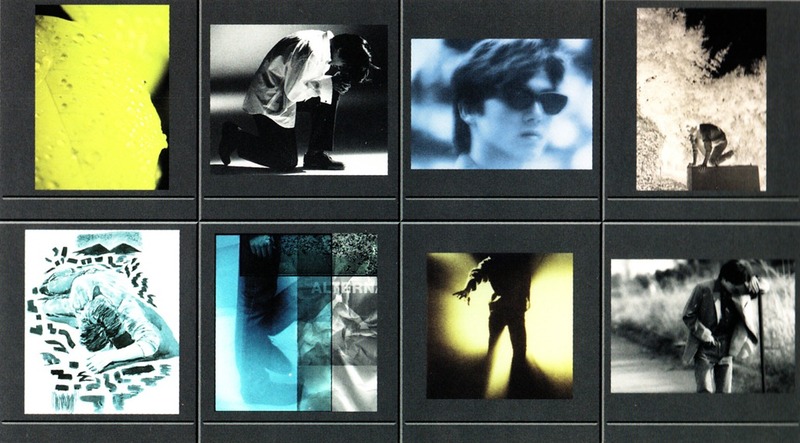 Another favorite album would have to be his “Confession for Exist” aka “Hounetsu e no Akashi” for it’s Japanese title….”In your heart” is such a standout track there. Hope you can attain Teenbeat Box in the New year~*~~* ^^.